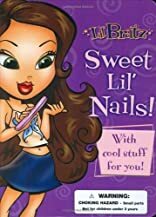 Home > Books > Lil' Bratz: Sweet Lil' Nails! 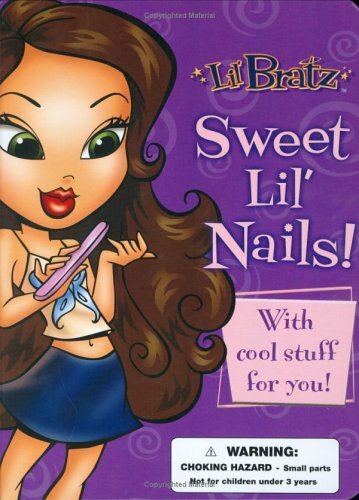 Lil' Bratz: Sweet Lil' Nails! The Lil' Bratz head to the mall and are psyched that their favorite store, Strut It!, is having a huge sale on sandals! But before they can wear their new shoes, the girls must do their nails-fingers and toes! Readers can join in the fun, using the sparkly pink nail polish, hot pink emery board, and flowery purple foam toe separators that come with this funky novelty book.